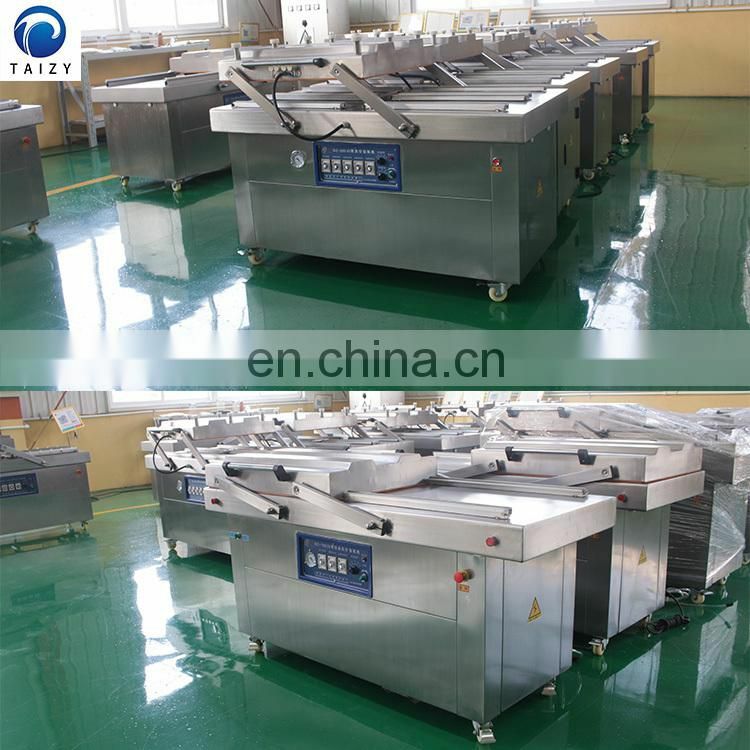 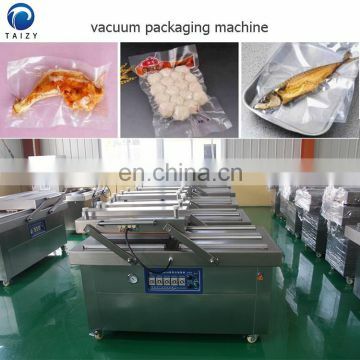 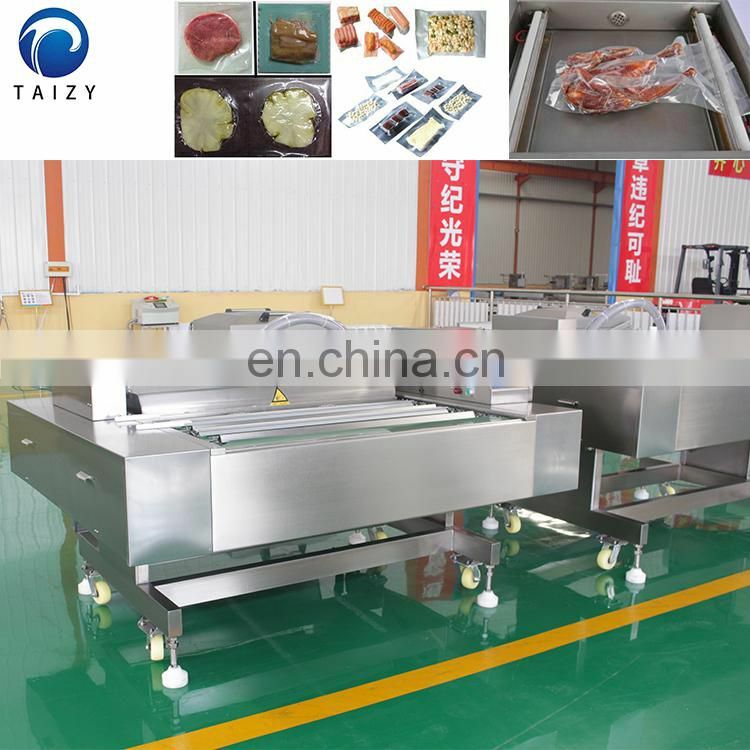 Taizy can provide semi-automatic and fully automatic vacuum packing machine according to your requirements.In addition, we can also provide granule packing machine, powder packaging machine, paste packaging machine, liquid packaging machine, etc.If you are interested in our packing machine,please tell us your package raw material , package size, package shape and package weight,we can provide suitable packing machine for you. The double-chamber vacuum packaging machine is suitable for vacuum packaging of various plastic film bags, composite film bags and aluminum foil bags. 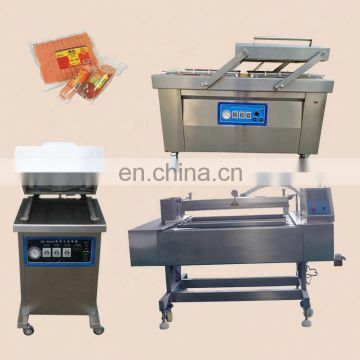 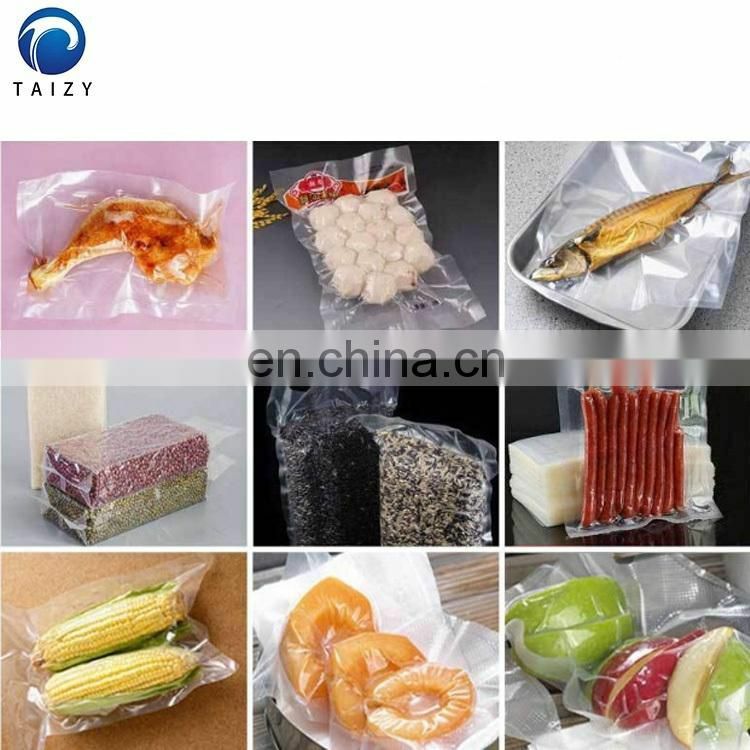 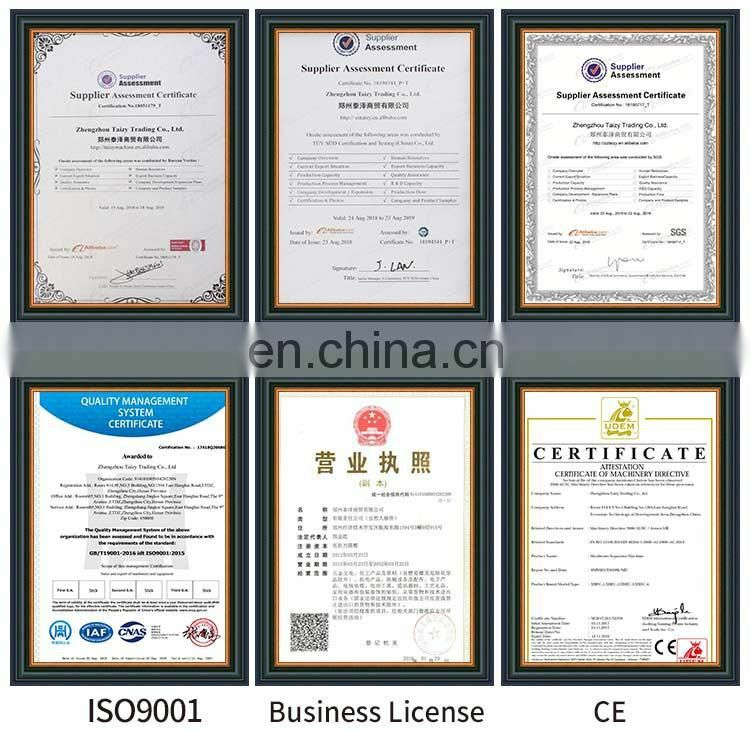 It also can apply for various solid, powder, semi-fluid and other vacuum packaging of meat products, poultry products, pickles, seafood, garlic products, wild vegetables, food, medicine, biological products, electronic components, etc.It can achieve oxygen isolation, preservation, extend the life of the product, and improve the product quality. 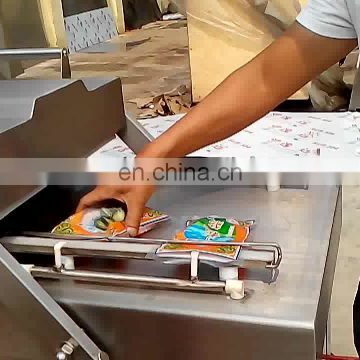 The double-chamber vacuum packaging machine draws the vacuum inside the packaging bag and then seals it to form a vacuum inside the bag, so that the packaged articles can achieve the purpose of oxygen barrier, fresh-keeping, moisture-proof, rust-proof, anti-corrosion, insect-proof and anti-pollution. 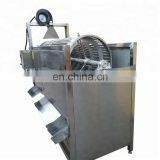 This machine is mainly composed of five parts: upper working chamber, lower working platform, frame, electrical system and vacuum system. 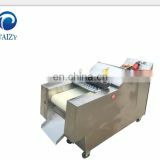 First, place the package on the work platform, spread the bag mouth on the silicone rubber strip, and press the bag with the bag press. 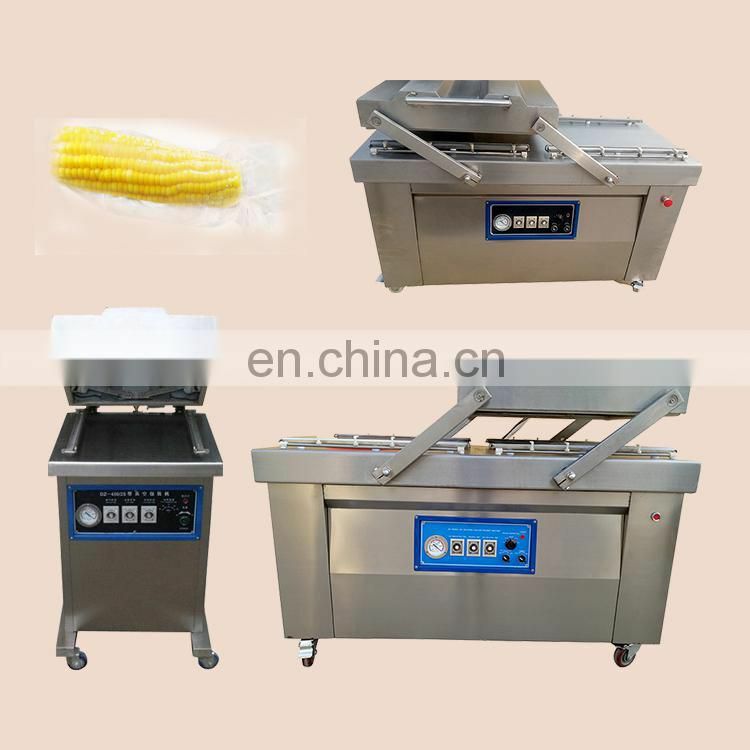 Turn on the power, select the heating temperature, and adjust the pumping time and heating time. 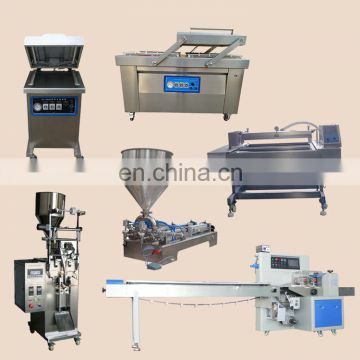 After the cover is closed, the packaging machine can automatically complete the pumping, opening and cooling, and cover a series of continuous actions. 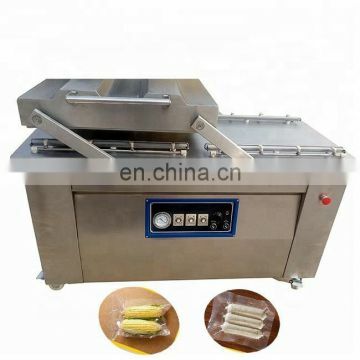 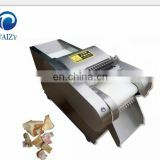 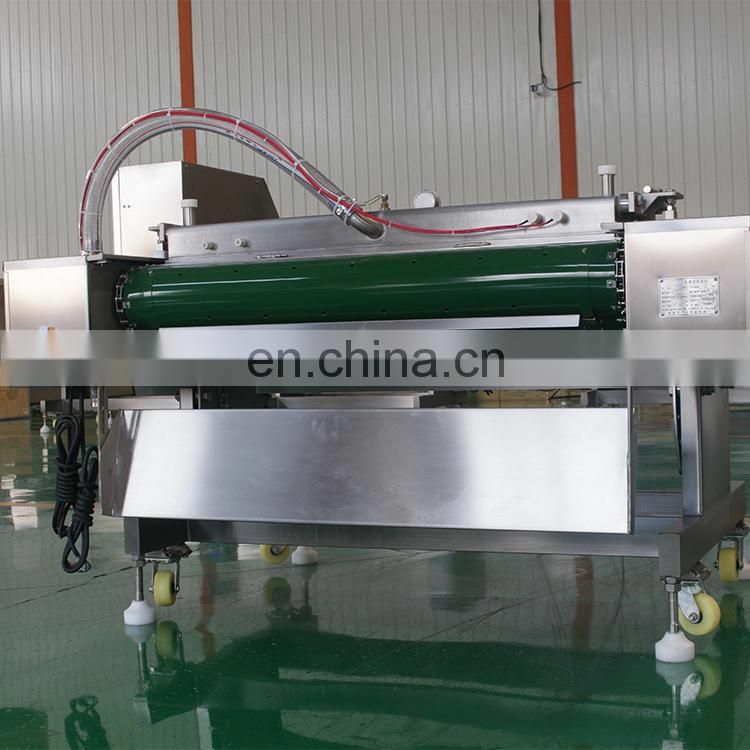 Rolling vacuum packaging machine use for pickles, vegetables, frozen products, agricultural products, pickles, fast food, conditioning foods, powders, spices, electronics, hardware parts, pharmaceuticals, aquatic products, dried tofu, chicken products, meat products, leisure food and other packaging. 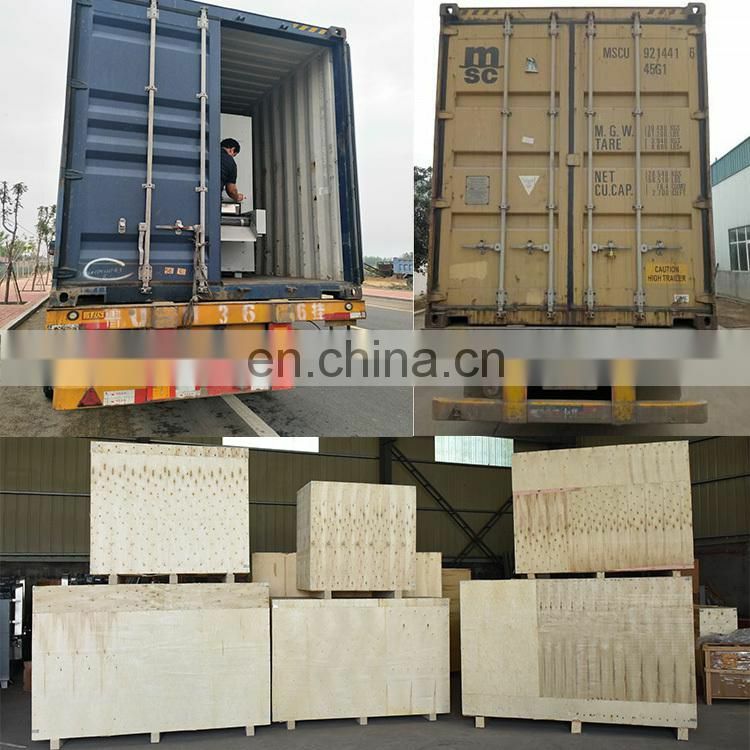 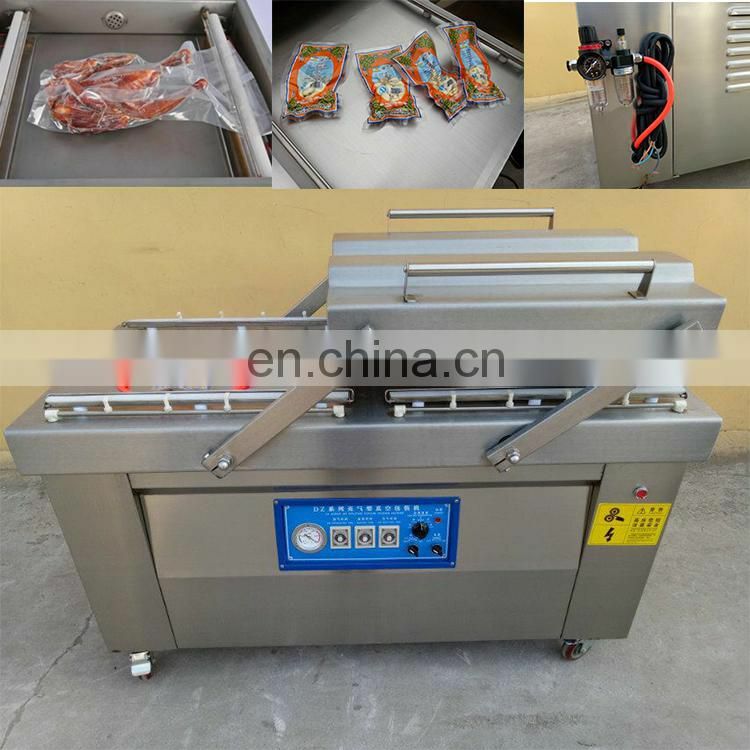 After packing, the articles can effectively maintain the preservation, quality, moisture, mildew, rust, pollution, oxidation and vacuum sterilization, extending the shelf life. It also is especially ideal for the packaging of powdered, pasty and juiced items. 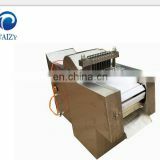 The rolling vacuum packaging machine continuously transports the packaged product through the conveyor belt during operation. 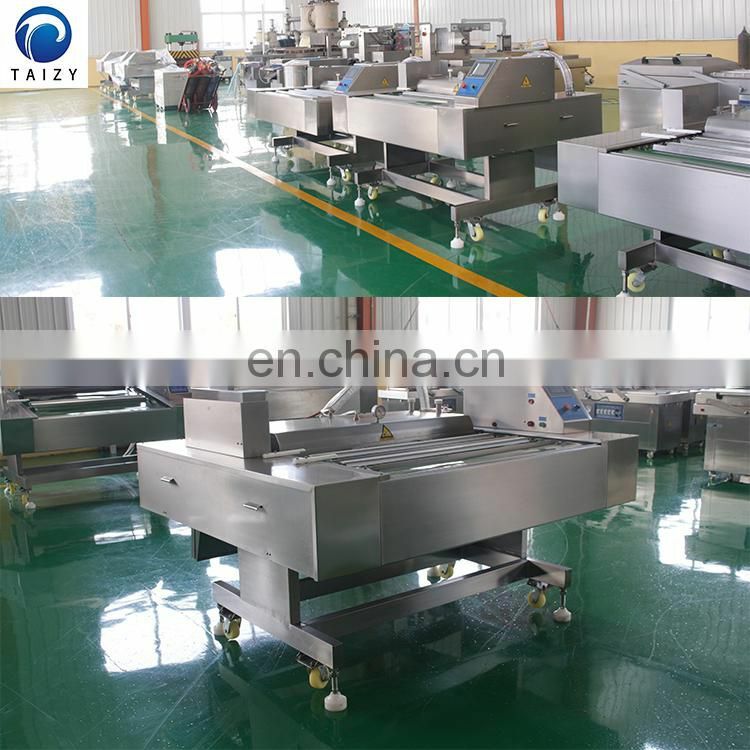 A worker can operate, and the worker puts the required packaging materials on the conveyor belt. 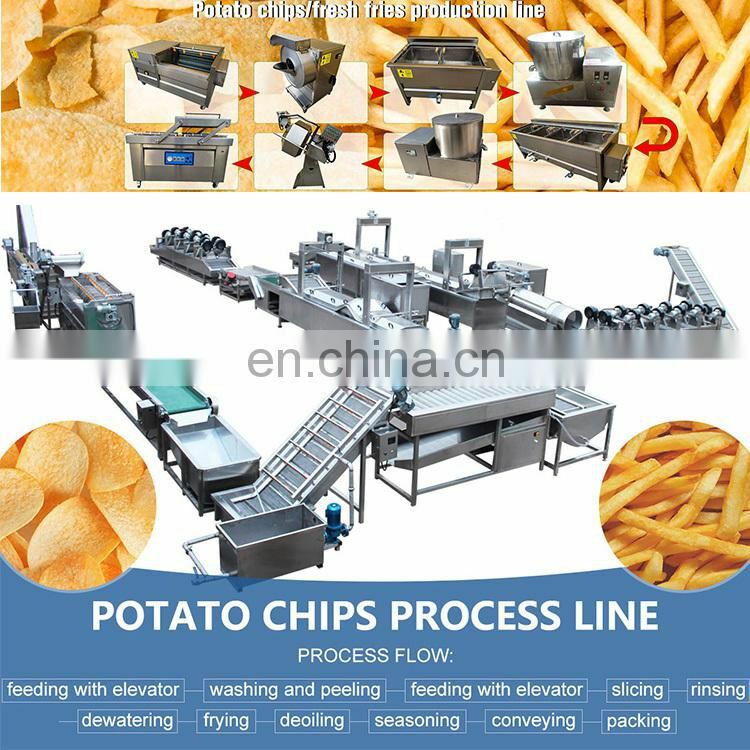 The machine can complete all work such as automatic vacuuming, heat sealing, conveying, automatic opening, automatic suction and unloading. It can be used with the assembly line. 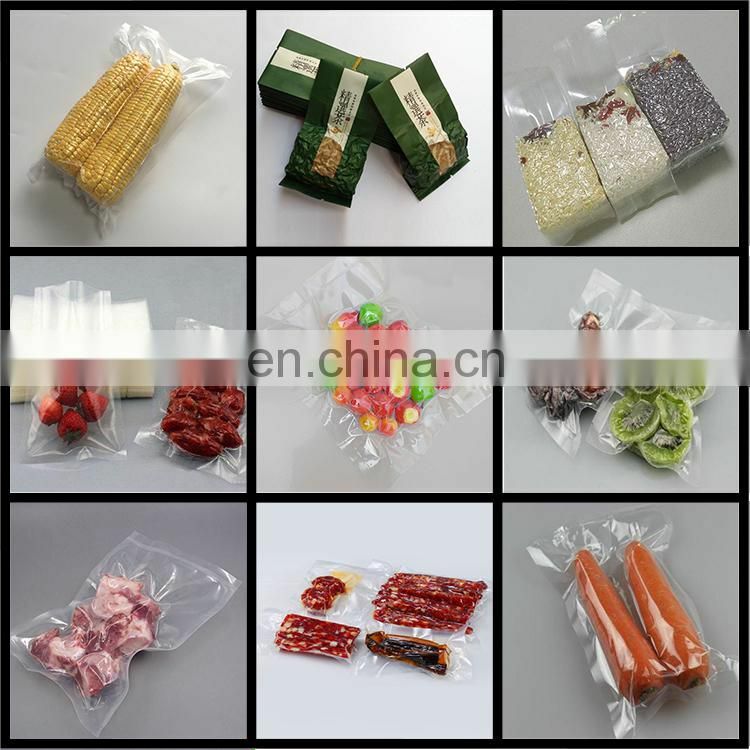 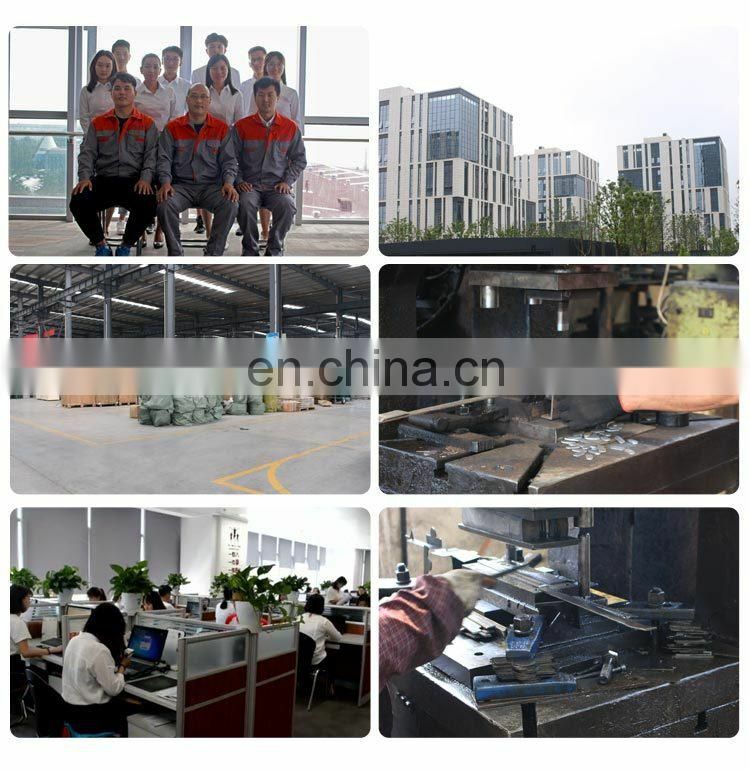 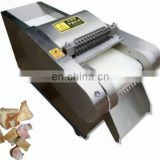 Compared with general vacuum packaging machine equipment, it can increase efficiency by three to five times. 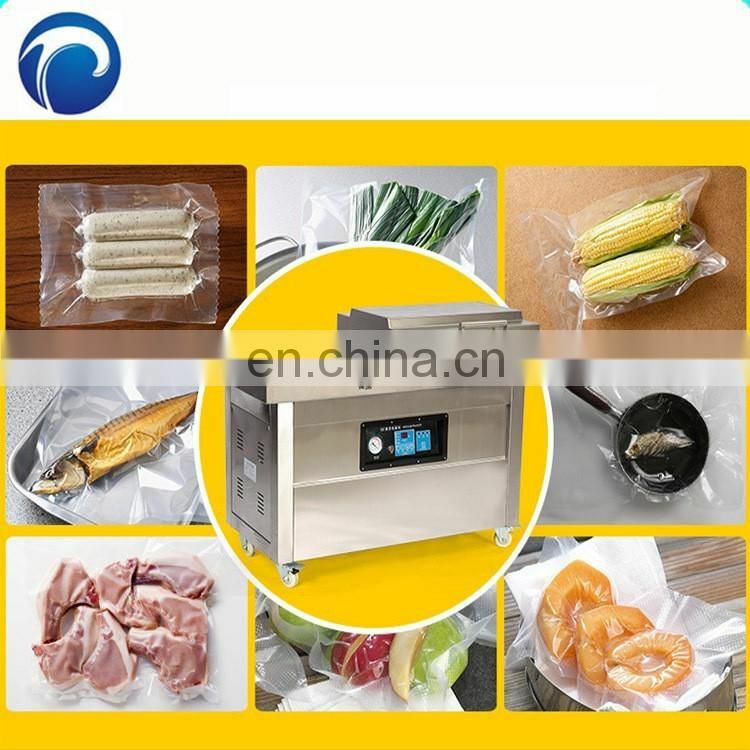 The continuous vacuum packaging machine has only one vacuum chamber, and the size of the vacuum chamber can be customized according to the user's product.